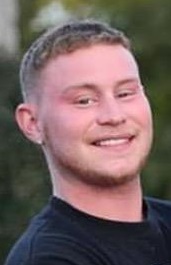 Zach Scott, age 24 of Paducah died Thursday, April 11, 2019 at Baptist Health in Paducah. He was born the son of Rocky Dale Scott and Christa Yancy Ballard. He worked in landscaping, and was of the baptist faith. Funeral services will be 1:00 p.m., Monday, April 15, 2019 at Keeling & Goodman Funeral Home. Burial will follow in Newton Creek Baptist Church Cemetery. Visitation will be Sunday, April 14, 2019 from 5:00 p.m. until 8:00 p.m. and Monday, April 15, 2019 from 11:00 a.m. until the funeral hour. Keeling & Goodman Funeral Home is in charge of arrangements. In addition to his parents, he is survived by his son: Bryson Scott of Paducah; his brother: Brandon Miller of Paducah; his sister: Alexandria Scott of Paducah, and his nieces: Makayah Scott, and Graceynn Scott both of Paducah. He was preceded in death by his paternal grandparents: Rocky Redmon and Teresa King; and his maternal grandparents: Eddie Yancy and Cindy Tilford.